Plans on getting the bus lane to reach 5,000 homes is in motion All aboard, the Colchester Express… Oh, wait that’s for the train. A few months back, we have reported that there are plans to make the commuters’ life easier by expanding the train route. This time, we bring in more good news. There are plans of getting the bus lane to reach 5,000 homes in Colchester. 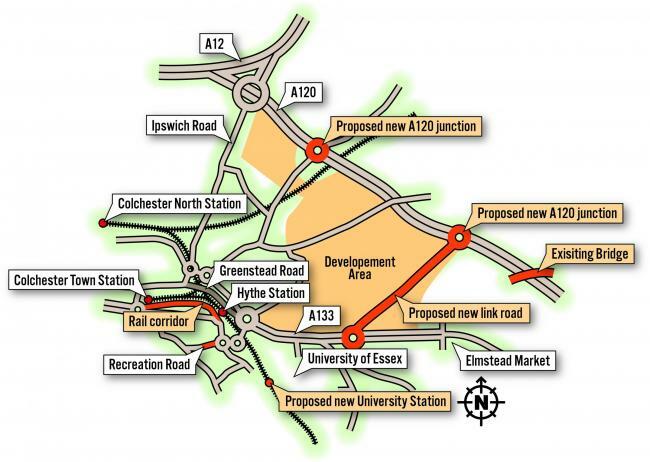 Not only will this make a commuters’ life easier, it can also be very convenient for the new residents of Colchester. Recently, we have reported about the new 5,000 home development to the east of the town that are already in motion. Including the new buildings for the Essex University. The Essex County Council has talked and instructed experts to explore route links further. This could lead to residential roads becoming bus lanes that could bring you anywhere in the town. Others are also being explored, although it is not yet clear what they are. The plans are being looked into as part of proposals by County Hall, Colchester Council,Braintree Council and Tendring Council to create a “garden community” to the east of Colchester. Paul Smith, leader of Colchester Council, said until it was clear exactly where the houses would go, no other plans could be set in stone. He said: “These new bus rapid transport lanes are certainly a possibility. “The Colchester Town rail corridor could cause a lot of interest, maybe even as a light railway or as a shuttle bus. What do you think? Will this make commuting easier for you? Let us know in the comment section down below! Keep checking back everyday for more good news on Colchester!